Dinah Day is an Associate Consultant with EquiPro International and has over 16 years experience in the executive coaching and image makeover business, having begun her career as a private school teacher in the New York area. She became a professional actress and sportscaster for major TV networks, interviewing athletes and celebrities as well as being a national spokesperson for products such as Palmolive Liquid, Nationwide Insurance, Timex Watches to name a few of her more than 100 commercials. 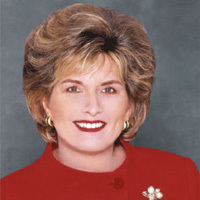 Seeing the need for executive coaching with a personal slant, Dinah Day developed a unique method for bringing out the best in career-challenged individuals by offering her career coaching image techniques to Fuchs, Cuthrell & Co., the pioneering leader in Outplacement, where Dinah became a Vice-President. She is an Advanced Trainer in Neurolinguistics, a New York University Certified Career Counselor, Professional Image Consultant and a Certified Specialist in Relapse Prevention for chemical dependency. Dinah has an AAS degree in Child Psychology, BA in Theatre and Education, and currently studies at The School of Practical Philosophy in New York. Dinah is a champion athlete in squash, tennis, triathlons and truly enjoys the outdoors as an amateur photographer. "I feel as if Lynda fully connected with the entire audience and that made it even more special."